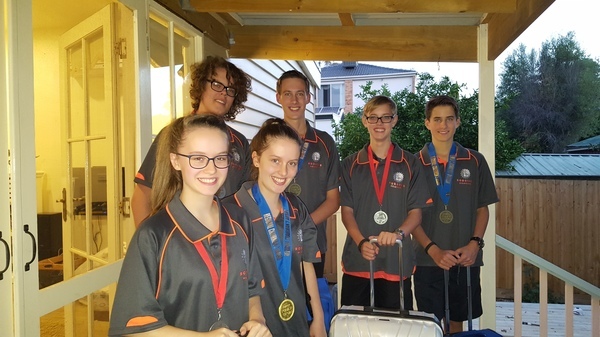 A brilliant bunch of Berwick teenagers are taking on the world in a robotics world championships in Houston USA. 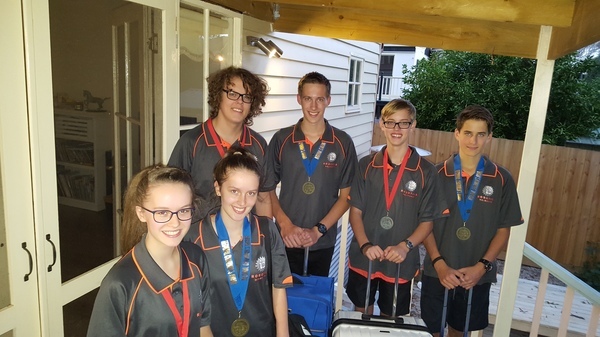 Jadimo and Oriyla, Jayden and Riley, and Fletcher and Hudson are part of IC Robotics club won their place by blitzing all-comers at a South Pacific regional robotics championship in Sydney in March. The tech whizzes – three sets of siblings – were brimming with excitement as they head off to the States on 16 April. They can’t wait to meet 400 other teams from around the world as well as make an exclusive tour of NASA – perhaps witnessing a rocket launch, weather permitting. 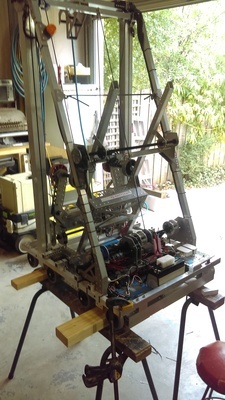 At the Sydney regionals, IC Robotics and their self-designed robot were ranked first across 60 frantic games of picking up, lifting and delivering ‘power cubes’ around an arena. 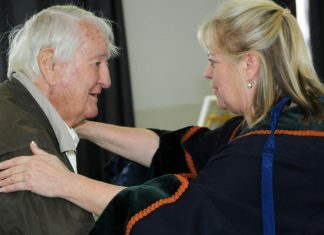 They also took out the much-sought Chairman’s Award for best embodying the spirit of not-for-profit organisers FIRST – For Inspiration and Recognition of Science and Technology. This award doesn’t just recognise robotic genius, but the articulate spruiking and entrepreneurship of these bright sparks. “We work in the community as part of the community,” says Oriyla. In their own time, the youngsters have mentored and taught robotics at six schools. They hope their international success will further inspire their proteges.. The team has presented demos for up to 20,000 people at Stringybark Festival at Knox – including showing off the perfect gadget for couch-potatoes: a moving, remote-controlled sofa on wheels. They’ve met Prime Minister Malcolm Turnbull and won corporate sponsors to their cause. That’s on top of about eight team-members devoting 1800 hours over six weeks to design, prototype and build their robot for the Sydney regional finals. The first 15 seconds of the robot’s challenge was pre-programmed, and then they are driven by remote. “We had no idea how we’d do,” says Jayden of their first placing in Sydney. That “good” robot has been packed in a crate and awaits its team members to join it in Houston. IC Robotics – IC stands for Invention Club – started out with two primary-school mates mucking around with Lego robotics 10 years ago. Word of mouth has spread across the suburbs, with friends inviting friends, older members mentoring the young. Sharing down the “loop of knowledge”, as Jayden puts it. In recent weeks, the members and their families have furiously raised much of their $46,000 target to take part in the world champs. Next articleMandatory jail terms: will they make the community safer?